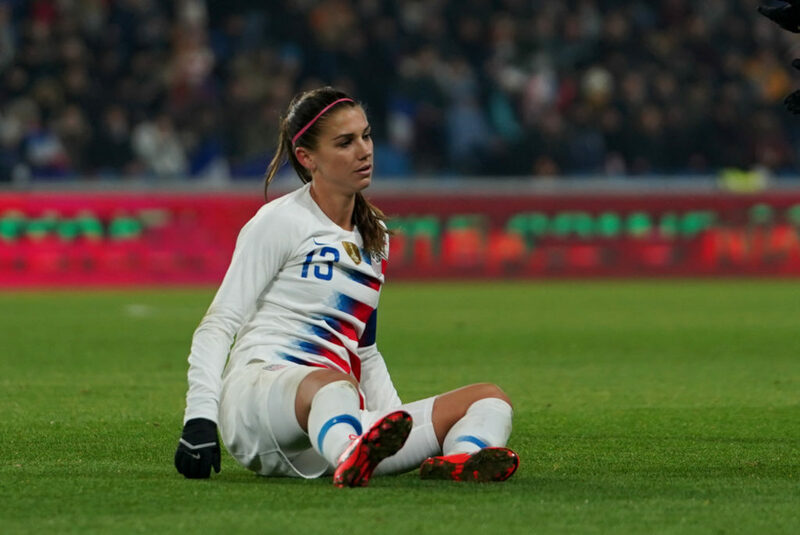 The United States’ 28-match unbeaten run came crashing down in a 3-1 loss to France in front of a sellout crowd at Stade Oceane in Le Havre, France. It marked the second straight World Cup year that the U.S. opened with a lopsided loss in France. In 2015, the U.S. were run off the park in a 2-0 defeat. The United States later won the World Cup with France crashing out in the quarterfinals. 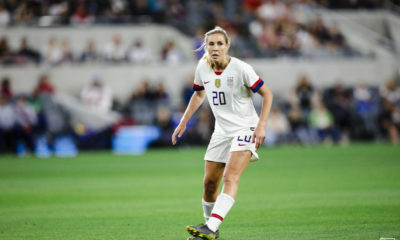 In this one, the U.S. were without Julie Ertz Tobin Heath, Kelley O’Hara and Megan Rapinoe, who all missed the match with what was termed “injury or illness.” The resulting formation saw Crystal Dunn get the start in midfield with Emily Fox in Dunn’s familiar spot at left back. Up top, Christen Press started on the left side of Alex Morgan with Mallory Pugh on the right. France began the game with all the possession and immediately exposed Fox at left back to take a lead in the first 10 minutes. Kadidiatou Diani started and finished the play and in between, while Delphine Cascarino beat Fox for both pace and finesse to get off the cross. Diani had pounced on a loose ball in midfield, maintained possession in tight space and then sprayed the ball wide to start the attack, and then made a run into the box to get on the finish. Kadidiatou Diani picks up the ball in the box and slots it past Alyssa Naeher, but it was Delphine Cascarino's work beating Emily Fox that earns France the goal. 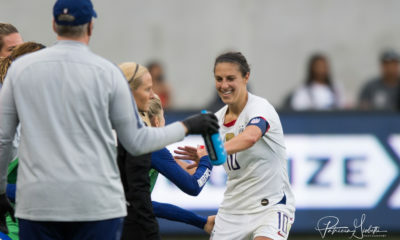 Diani doubled the lead in the 57th minute with a perfectly placed shot from an extremely angle that just barely eluded U.S. keeper Alyssa Naeher over the top and nestled inside the far post. 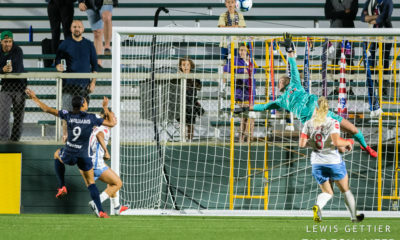 She was played into space perfectly by Marion Torrent and got her shot away as Abby Dahlkemper attempted to keep her pushed out wide. 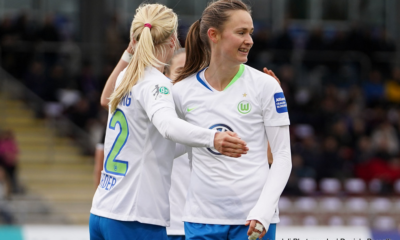 France made it 3-0 through Marie-Antoinette Katoto who caught Naeher between coming off her line and scampering back and eventually dribbled around the keeper for the finish. Pugh scored in stoppage time to erase the shutout. 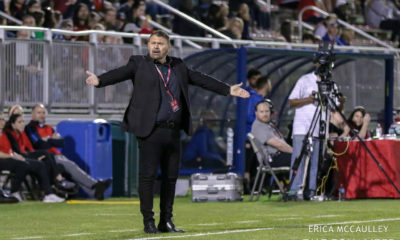 It was the first loss for the United States since a 1-0 setback to Australia in the opening match of the 2017 Tournament of Nations. They will try to shake it off, and hopefully get some missing players back, Tuesday in Spain.